With June’s plant of the month coming in so many different colors, it’s no wonder they were named Iris, meaning “rainbow” in Greek. 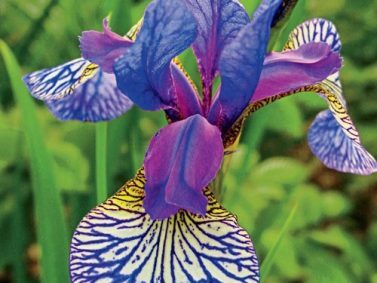 While Irises can be a bit fussy with their growing conditions, with a little extra care, you can grow these beauties in your own garden. 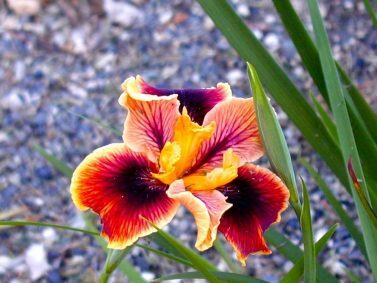 Pacific Coast Iris- The Pacific Coast Iris has evergreen foliage and gorgeous flowers in a wide range of colors. These Irises prefer well-drained, acidic soil but like to keep their roots nice and cool throughout the summer. Using compost and mulch will help with this and to keep their roots from freezing in the winter. 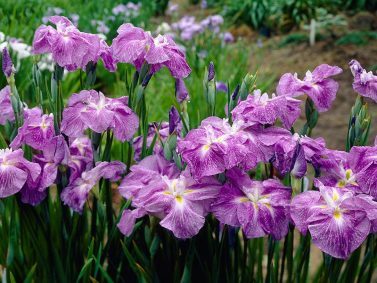 Bearded Iris- There are 6 different types of bearded irises based on their heights growing from 5 inches up to 40 inches tall and come in a huge variety of colors. They bloom from late spring through summer with some hybrids reblooming once they’re established in the garden. The beard on a bearded iris is the fuzzy part at the base of each falls petal. Bearded irises are one of the easier ones to grow needing well-drained soil and full sun. Planting these irises on a slope will help with drainage and once they’re established, won’t need to be watered except in times of drought. Because the rhizomes sit right at the top of the soil, it’s best to keep your planting area free of weeds so they can get the most sunlight. You can divide and transplant bearded irises every 2-4 years depending on how close they were originally planted. Japanese Iris- Japanese Irises fit into the beardless category and have a much simpler flower than the bearded irises and work well for cutting. Petals are flatter and they come in all shades of purple to pink and were once reserved only for royalty. While many thinks of these as water garden or bog plants, they will do well in moist soil and similar conditions to what ferns and astilbes like. Louisiana Iris- As the name suggests, the Louisiana Iris comes from the bogs and wetlands of Louisiana and other Gulf Coast states. Don’t let that deter you from planting these beauties though! While they like swamps and riversides and water gardens, they can also adapt to other moist growing conditions if they have at least an inch of water during their peak growing season. Louisiana Irises come in many different colors but also have a few with colorings that don’t appear in any other kind of Iris, such as the dark purple, almost black of the Black Gamecock. They’re also well known for the flashes of yellow-gold in the centers of their flowers and are in the beardless category, as well. Siberian Iris- These hardy, beardless irises form in grass like clumps with thin stems. Flowers tend to be a bit smaller than bearded irises but once the blooms have gone, many enjoy the ornamental grass look that the foliage provides. 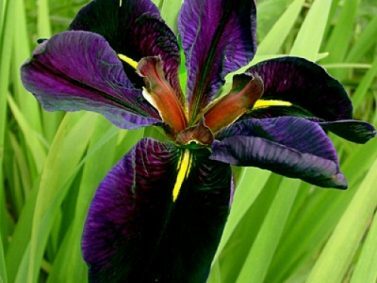 These come in a range of colors but some of the more classic Siberian Iris colors are yellow, blue, and purple. 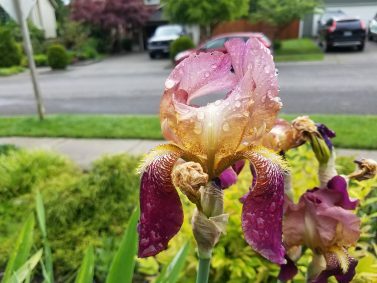 These irises like moist conditions but will also do fine in normal growing conditions and won’t get too upset if they dry out for a small period of time. 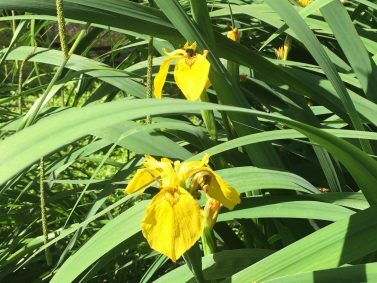 Wild Iris- If you have a wet woodland or wet meadow location on your property, Wild Irises are a good option for these areas. While they don’t like being covered in water, they do like places where there is plenty of water throughout Spring. 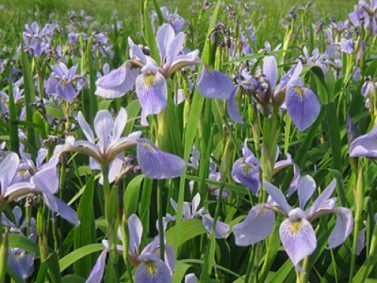 Both the well-known Blue Flag and Yellow Flag Irises are part of the Wild Iris category. Be mindful of the Yellow Flag Iris though as it is considered an invasive species in some places. 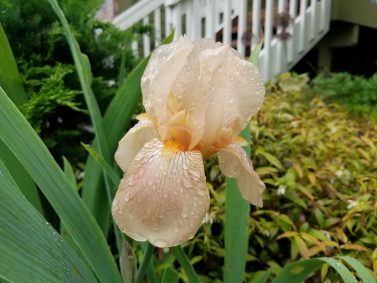 While Irises have their different growing conditions that they prefer, if you take the time, Irises can add a whole other colorful dimension to your garden. 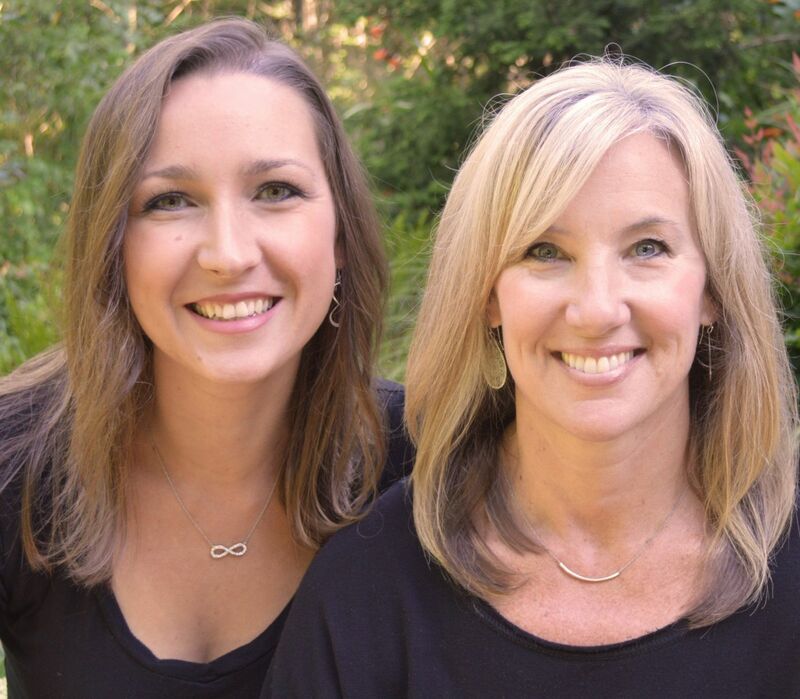 If you’re looking for ways to add Irises to your garden but not sure where or how or if a landscape design would be right for your yard, contact us for a free phone consultation! Organized under Buds and Blooms, Plant of the Month, Plants I Dig. Labeled as bearded iris, beardless iris, black gamecock, blue flag iris, iris, irises, japanese iris, june plant of the month, louisiana iris, pacific coast iris, rainbow, siberian iris, wild iris, yellow flag iris.